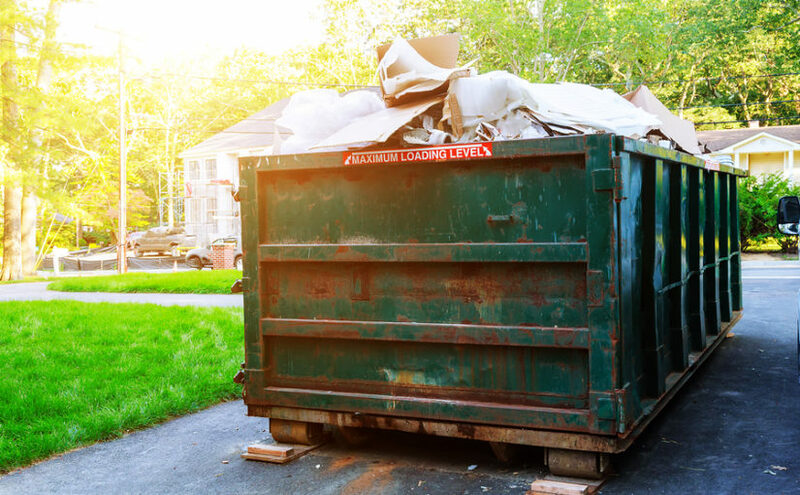 One aspect that isn’t often mentioned is why businesses hire skips in the first place. So what are the uses of commercial skip hire? Skip hire for office refurbishments and clear-outs is a big one, just remember you can’t put asbestos or plasterboard in an ordinary skip and any paint tins must be completely empty. A commercial skip is a good idea if you’re hosting any kind of large event, as there’s bound to be some cleaning up afterwards and a large hired skip is ideal for general bulky waste and mixed non-recyclable rubbish. While we’re speaking of recycling, many businesses look to commercial skip hire when they have a quantity of recyclable waste to get rid of. That could be stacks of old paper files and records that have since been digitised, or plastics and metal containers from catering for an event or running a foodservice business. With commercial skip hire you don’t need to separate out all of your recyclable materials – you can throw everything in the skip and as long as there are no contaminating substances in there, most reputable skip hire providers now sort materials after collection and direct them to the appropriate place for recycling. Jumbo skip hire and roll-on roll-off containers mean even large quantities of mixed recyclables are no problem, while secure enclosed skips reduce the risk of anyone attempting to steal your metal waste before it is collected – as well as preventing arson attacks on paper waste. Cheap business skip hire means you don’t have to bust the budget to get rid of waste from office refurbs, clear-outs, networking events and large-scale recruitment days. Location (whether you need city centre Leeds skip hire or a location further out). Size of skip (e.g. 4 cubic yard Midi, 8 cubic yard Maxi, 14 cubic yard/one tonne Jumbo). Off-road vs. on-road (which requires a permit at a small additional fee). Duration of skip hire (up to a week as standard). Of course if you’re VAT-registered you can reclaim the VAT payable on commercial skip hire, effectively making it cheaper than it is for a domestic skip hire customer. For an instant commercial skip hire quote, just fill in our online form to tell us your location, the size of skip you want and where it will be positioned, and click ‘Book your skip’ to continue with your booking. You can then give us a few more details such as the type of waste, delivery and collection dates, and even whether you would prefer morning or afternoon delivery, so we can fit your delivery slot around your working day. Previous Previous post: Are conservatories still popular?